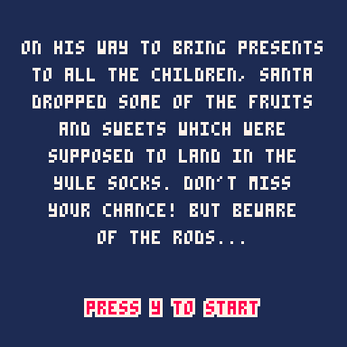 "On his way to bring presents to all the children, Santa dropped some of the fruits and sweets which were supposed to land in the yule socks. Don’t miss your chance! 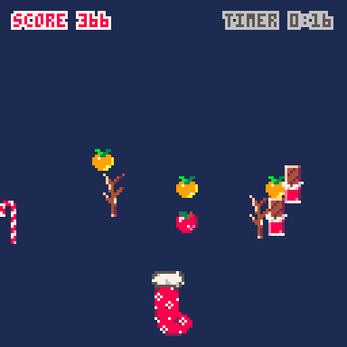 But beware of the rods…"
When collecting fruits and sweets, your score increases, depending on the respective good. 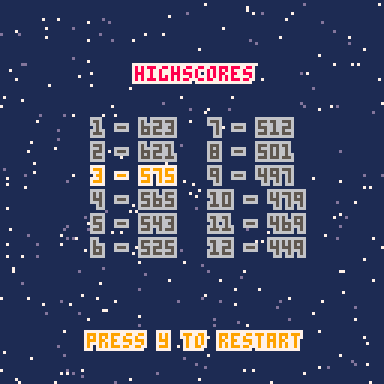 Catching rods decreases your score by 10 points. 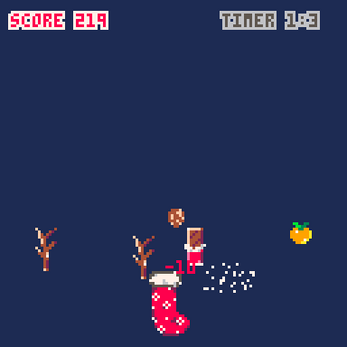 Sweeten your Yuletide with this diverting minigame! You control the yule sock with the arrow keys (left and right). Local highscore included: match your friends for the extra bit of fun! Up to 12 highscore positions within the game (only offline). 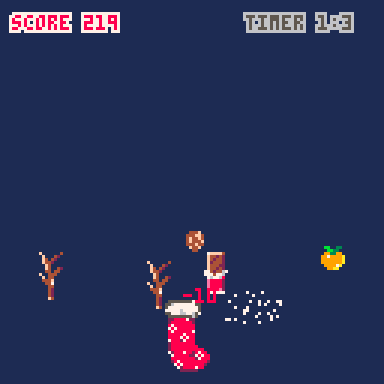 Made with love in PICO-8 by Lexaloffle Games. ** Christmas sale ** Get Yule Sock for only $0.99!